Delta Force Paintball West London: 3 awesome paintball venues! Delta Force Paintball West London has three top paintball centres for you to choose from, covering Berkshire, Buckinghamshire and Reading. If you’re looking for the next big thing in paintball, visit a Delta Force Paintball centre – you won’t be disappointed. 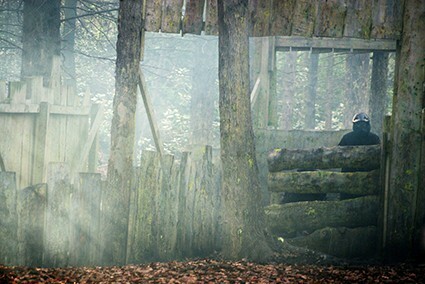 Our Berkshire paintball centre is situated only a few minutes from the M4 motorway, in Maidenhead. The venue has recently been renovated, costing £15,000! Renewing the game zones and giving the whole centre a fresh appearance, the Reading paintball centre has proved a popular choice for customers living in West London. The paintball game zones at this centre include: Castle Wallenberg which features a massive two-storey wooden fortress, Chemical Alley; a quick-fire game of speedball, Mad Murphy’s Jungle Attack which is set in the deep dark depths of the tropical rainforest, Siege of Stalingrad which includes four Soviet missile trucks used in the 007 Bond film, Tomorrow Never Dies, The Black Pearl which is home to a 50-ft-long galleon and Zombies’ Crypt which is set in a creepy-looking graveyard filled with tombstones and coffins! Our West London Paintball Centre is located in Gerrards Cross, near Slough. It’s the ideal location for paintball fans living on the outskirts of West London and Berkshire, positioned close to the M25 and M40 motorways. 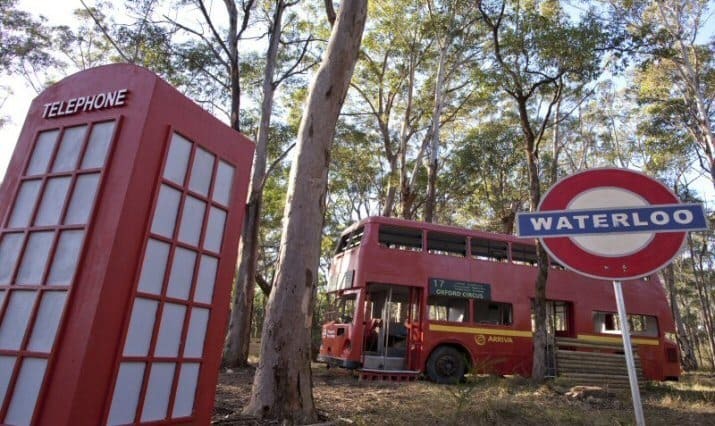 The venue offers a variety of exciting paintball game zones such as: Castle Wallenberg, Chemical Alley, London Apocalypse, Mad Murphy’s Jungle Attack and Viet Cong Village. Players even have the opportunity to use smoke grenades during battle – a great way to add a bit of drama to your game! Then, there’s our Reading paintball centre. Positioned on a gorgeous private estate, the front entrance showcases a 1960s Daimler Derret MK2/3, used by the British army! 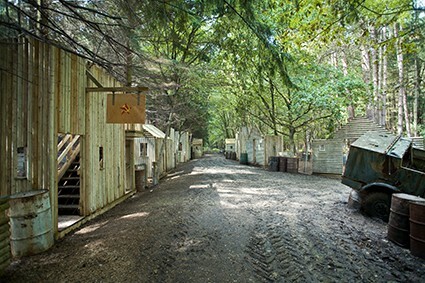 This centre also features a great mix of paintball game zones for customers to enjoy including Castle Wallenberg, Chemical Alley and London Apocalypse. Each of our West London paintball centres benefit from first-class facilities within the basecamp, such as big picnic areas with plenty of seating, proper toilets on mains water and secure lockers for guests to keep their belongings safe (for a minor charge). We want all our visitors to feel completely comfortable at our centres so we are continually improving our centres to meet your needs.